The regulators in South Korea are not leaving anything to chance when it comes to the Note 7 recall process there, it seems. They have apparently ordered Samsung to X-ray each and every new unit that comes off the conveyor belt for eventual battery plates pressure gaps, or other issues that might prompt thermal runaway. Pretty extraordinary measure that is sure to add some more cost to the already exorbitant recall tag, but when the user's safety is concerned, nothing can be deemed enough. 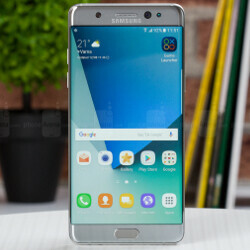 According to the Korean Agency for Technology and Standards, the scans should start from the battery packaging suppliers of Samsung, so we can be assured that the new Note 7 units with the stickers and the green battery indicators are absolutely safe to use when it comes to battery operation. 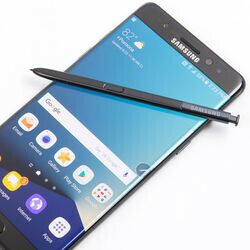 The consumer safety agency is also a bit worried that a very low percentage of Note 7 owners in its homeland have shown up to request a refund for the handset, potentially due to the lack of awareness they can. That is why it has made an agreement with Samsung to extend the refund deadline by the end of the month. Most people who got a Note 7 from the initial exploding batches there, are simply showing up for a swap with the new safe units, instead of requesting a refund. I have it from day one. Now that it's clear about 26 false exploding units only the issue is even less important. I will exchange it. But will not leave it. The best of the best is worth it. Wow, it's nice to know you've not jumped ship. 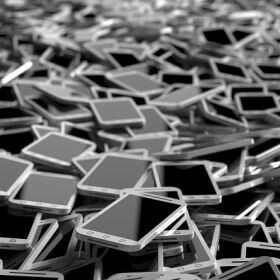 As per this article, the majority of those who own a Note7 from the 1st batch, are just swapping it for a new and safe one, not dumping it for a refund. That's great trust. I can't end friendship just because a friend suddenly disapointed me. I'll rather kiss and make up. Samsung FTW! That still leaves 66 legitimate cases. It's absolutely not worth it to risk getting hurt over a silly phone. 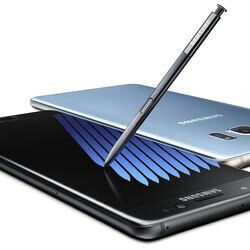 There's no risk in keeping the Note7 (powered off), then getting it replaced as soon as the replacement units are available. 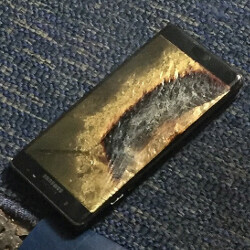 I replaced mine with another Note 7. It is an excellent phone! No other phone can touch it. Face it, all of the iPhone fanatics that jumped on this as a chance to stick it to Samsung have failed. Just as they have made up excuses for their favorite phone despite numerous issues that Apple refuses to address, we have decided to stick with our favorite phone. At least Samsung listens to us, admits issues with their devices, and fixes the issue at no cost to us. Apple will never do that. Apple is too busy figuring out new ways to rip its customers off. 26 liars, trying to scam their way into the best phone of 2016. I don't blame them though, just look at it. Well, to say that most people in Korea aren't aware of the issue is not true. The incident went viral throughput the SNS since the first day Samsung announced the recall. Some of my classmates who own the Note 7 didn't feel anything abnormal regarding to the battery problem, but they were forced by their family to stop using it and wait for an exchange. 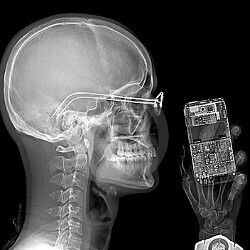 Now they got their brand new Note 7 and everything is perfectly fine, though this X-ray check is a mandate. That new battery tech, which is both twice as efficient AND safer can't come soon enough! http://news.mit.edu/2016/lithium-metal-batteries-double-power-consumer-electronics-0817 Come on manufacturers, get to it! Still dangerous people, still dangerous.. Don't be a hero and kill your self. Just buy any other phone. NOOOOOOOOOOOOOOOOO 7 Plz.. Stupidity knows no bounds in the comment section it seems. Note 7 for the win!! Got my replacement and I'm in love again! Ah, good to know note 7 issue has been resolved. Now bring out the beast and challenge the iPhone !! Wow...is like working for a bomb squad, you have to X-ray each. Hey, you never know, maybe Samsung is Trying to get back into selling military equipment. Went to Sprint last night and my wife and I picked up our replacements. I asked the store manager if most people were trading for another Note 7 or getting a different phone, and he said that only 1 customer in his store so far has gone with a different phone. Now I know this is anecdotal, but he believes most Note users love the device and rather stick with the Note 7 than using another phone. Smart people to stick with the best. Yeah it had a bad hiccup but it back and ready to go strong.